In a world of right and wrong, yours and mine, red states and blue, crossing the elements means relinquishing the idea that “I know,” or that “I’m right.” My “normal” may not be your “normal;” it’s a good bet that my perspective is not your perspective. 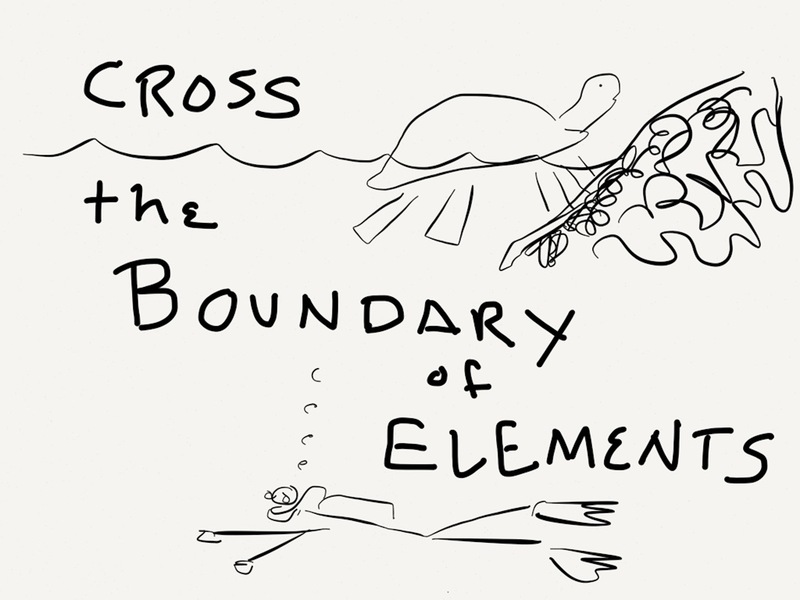 Cross the boundary of elements and stand for a moment in other people’s shoes; swim in their element. Reach across the known to see what they see. Find the middle way.